Even though modern cameras seem to able to see in the dark, we still need some type of light to create an image, whether it be light provided by us or by the moon, we need light. There are generally two ways to approach light in landscape photography, find the subject and wait for the light or wait for the light and find a subject that is illuminated beautifully by it. 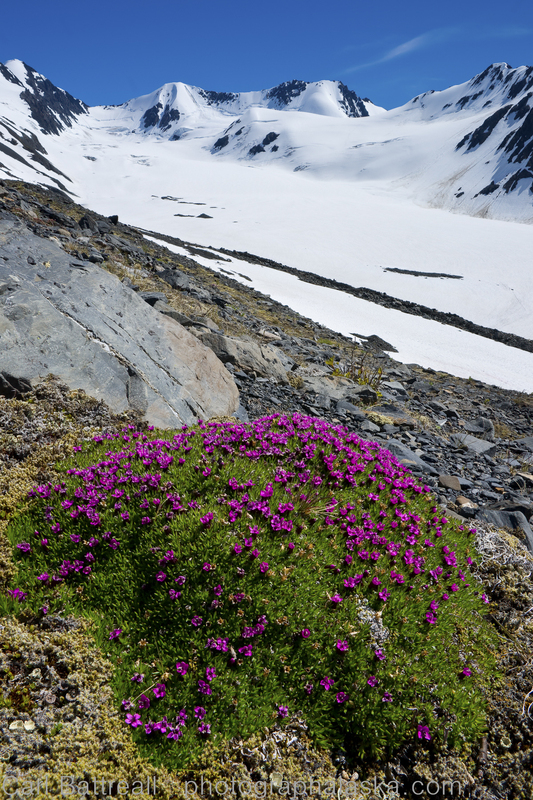 Moss Campion and the Raven Glacier. The light was high and bright, but the unique combination of colors, the low angle, use of a polarizer and the direction of the camera made it a successful image. For me it usually is a combination of both. It’s pretty rare that light perfectly illuminates my pre-composed scene, I often need to recompose when the light I am waiting for finally arrives. Other times, I have to completely change location, with heart pumping and emotions high. The late Galen Rowell was a believer of the second approach. To him, photography was all about light, subject came second. He was famous for literally running, often long distances, to match a subject with the developing light. I believe in the power of subject. I usually wait for a subject to reveal itself to me and then decide if the light matches. Of course, light itself, can often be the subject. Light can also be a guide and frequently all you can do is follow it as it travels across the landscape, photographing whatever it reveals. There is no correct way to approach light and subject. Having strong knowledge of weather and its many phenomenon is good, however, the best thing we can do is practice our awareness of our surroundings, step out of our own mind and live in the moment. If we can abandoned any preconceived ideas and quiet our thoughts about our day-to-day life, we will be able to adjust with what is developing around us, we will be able to create images quickly and with great impact. 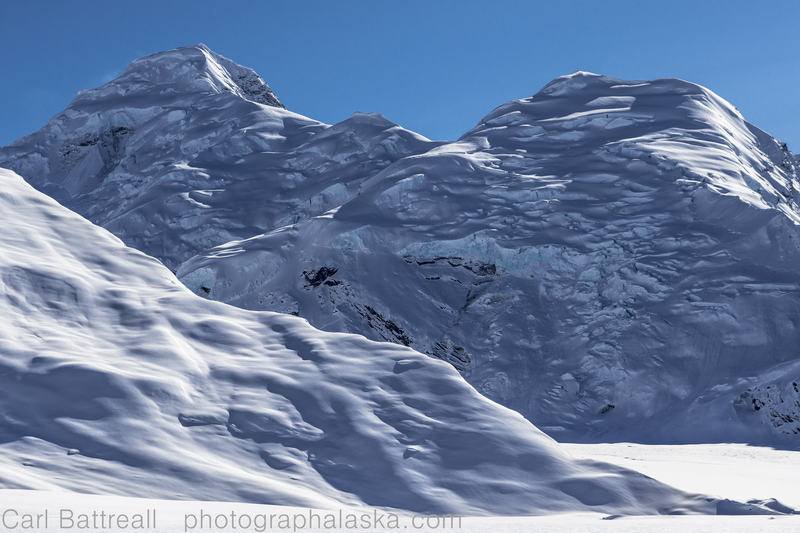 The beautiful north face of Avalanche Spire, central Alaska Range. Taken around noon. Like an elusive animal, the majority of landscape photographers only appear before and after sunset and sunrise. Their prey is that mysterious “Magic Light”, that for a brief moment, paints the landscape. But when traveling through remote wilderness, wilderness that chances are, you will never see again, it is important to learn to create images with the light you’ve got. It’s a valuable tool if you ever plan to do assignment work or travel in places that you will only see once. The direct, overhead light illuminated this crevasse perfectly. The hardest light to work with is summer, mid day, direct sun. There are plenty of photographers on-line that like to preach that “Trying to create meaningful images in anything besides the magic hour is pointless.” These “all-knowing” landscape photographers love to drive into their herd’s minds that not a single good image can be taken during the middle of the day. Sure, it is not easy and it’s not always possible, but it can be done. The main issue is the harsh, contrasty, over-head, light of the middle of the day. Yes, for most subjects, it doesn’t work. What we need to do is see if we can find a subject that benefits from such contrast. Steep mountains always have a side that looks great during the middle of the day. Another approach is to shoot into the light, using things like trees, rocks or even a person to block the sun itself. 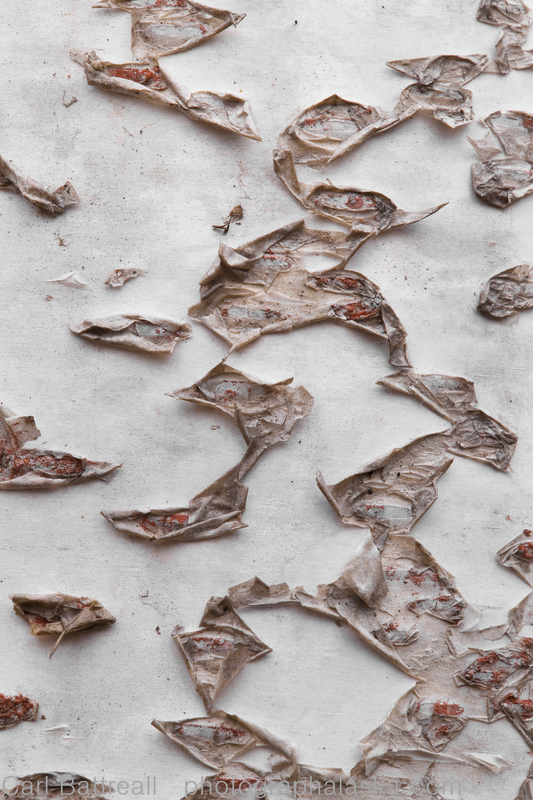 Birch Bark. Using my body to shade the bark from the direct sun created nice diffused light. Sometimes it pays to get close, really close. Macro photography can be done during the middle of the day. Simply use your body or some other object to shade the subject, creating even, diffused light. You can also search for transparent subjects like ice or leaves. I like to explore narrow canyons and cliffs during the middle of the day, looking for subjects in the shade. A polarizing filter can help remove harsh glare off subjects and can help enhance colors.Sometimes I will use a really strong ND filter to emphasize movement, which we rarely see in images on bright sunny days. 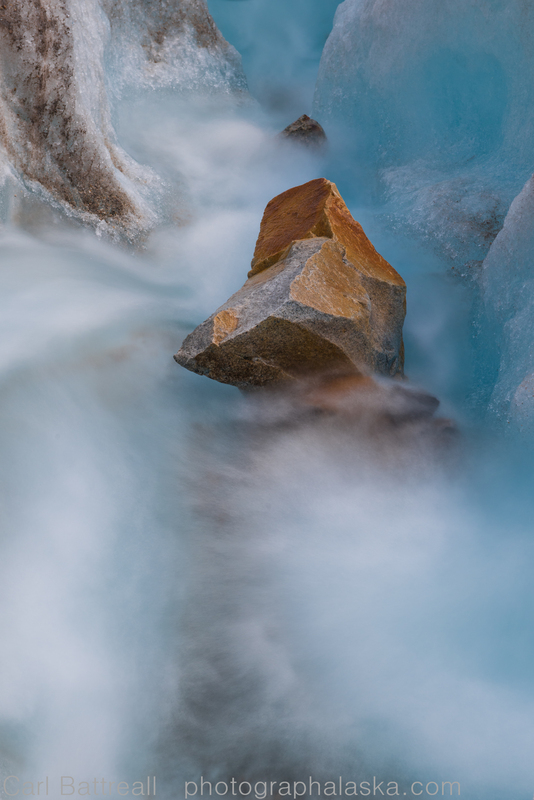 Melt water stream on the Backside Glacier. It was a bright and sunny day so I used a ten-stop ND filter to slow down the exposure. On rare occasions I will use a portable strobe. Using a flash to fill in harsh shadows can make an image. People and macro photography can be very successful in direct, mid-day sun when a fill flash is used. With all those ideas, sometimes we need to just let go of a scene or subject. If possible, we can return during better light, but if you’re travelling through a landscape, then maybe sitting back, with feet up and enjoying the glorious sun is a much more rewarding of an experience than trying to capture a photograph. In the next post I will talk about working in terrible weather. This entry was posted in Photography Skills, Planning, Uncategorized and tagged glacier photography, landscape photographers, landscape photography, mountain photography, outdoor photography skills, photographing in bright sun., Wilderness photography by Carl. Bookmark the permalink. 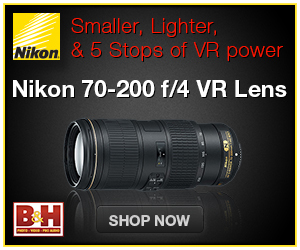 Beautiful photography, and great information!